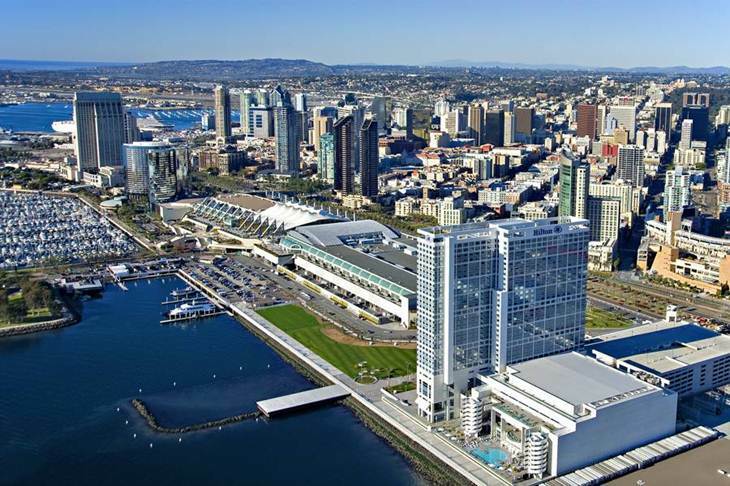 ü Accommodation – Hilton San Diego Bayfront. Just a short stroll next door to the San Diego Convention Center. ü Schedule and Appointments to Calender. Appear to be severely over booked!! ü Upload Travel Documents to Evernote! ü Telecommunications – Now that we have our new iPhone 4S I’ve been able to unlock (from carrier) my iPhone3S. Need now to delete email accounts and Apps from 3S. This will give me a couple of options. I can get a local (Telstra) pre-paid SIM and turn on Data Roaming or I can pick up a AT&T SIM when I get to San Diego. ü Pack Bag. Should think about short sleeve shirts this year! As it is just a short walk from the motel to the Convention Center and they are always warm inside. San Diego temperatures look to be similar to a mild Sydney winter! Which is currently warmer than the past couple of cold and wet Summer days! At last year’s SolidWorks World I was fortunately to be given both guidance and advice on how to get the best out of the event. Let me share some of that advice and a few things that I learnt. When Registering on the Sunday take plenty of time and have a good look around the Convention Center. When you register you will be provided with floor plans of the Convention Center. I sure there will also be an iPhone/ iPad App with information released before the event. (based on last year and a few tweets last week) Get to know where the entry to the Halls for the General Sessions are. (Halls F&G) Locate all the Rooms where your selected Breakout Sessions are. Especially the route from the Halls to your first Breakout session (after the General Session). Knowing this may be the difference between getting a seat for that session or missing out! Where comfy shoes! This is no place to be breaking in your new Manolo Bahnik’s! You’ll cover a good few kilometres / miles daily! Don’t worry too much about taking word for word notes in the breakout sessions. Most will be available for download (from the SolidWorks website) a few weeks after the event. If you’re by yourself at breakfast or lunch look for a table with a spare seat, put out your hand, introduce yourself! Everyone has a story, everyone is happy to talk shop! Take in as many sights and sounds that you can handle! Try to relax, enjoy yourself and hold on tight it can be an exciting ride! That’s it! I’ve a busy week ahead trying to complete this latest project before I head out. I’m looking forward to catching up with many friends in the SolidWorks Community. See you all soon!